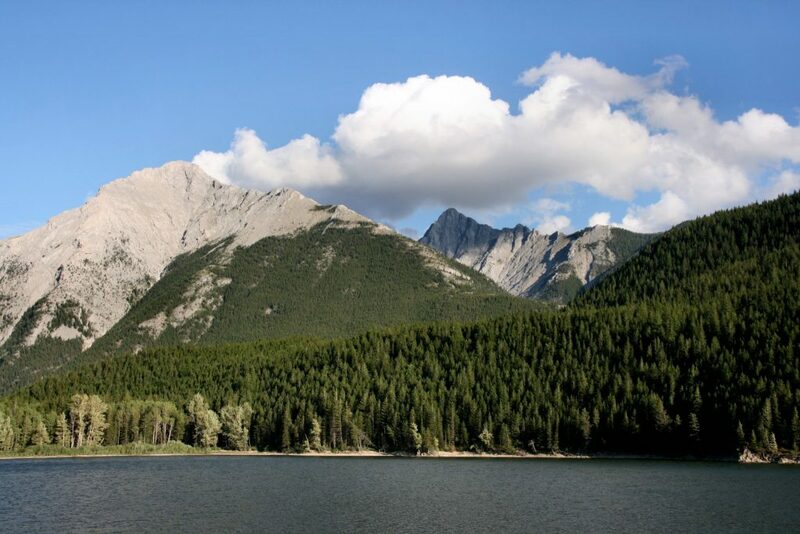 Nestled in the beautiful Columbia Valley, Kanata Invermere offers friendly service, extra amenities and a convenient location. 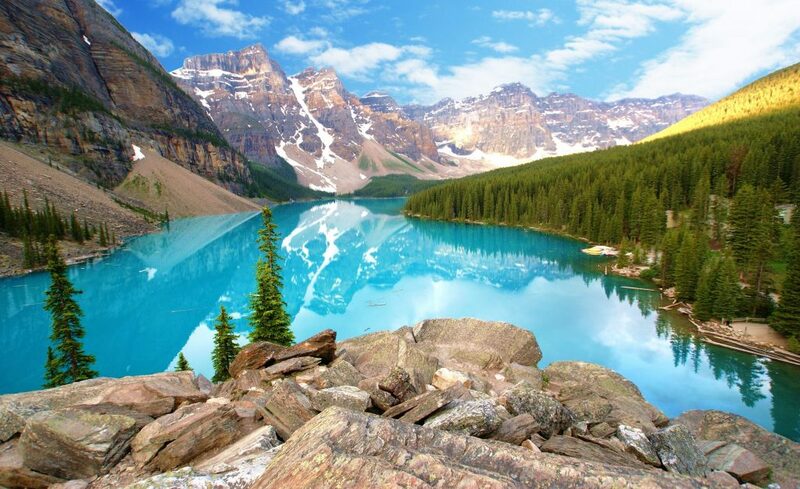 Whether you’re staying for a short business trip, or for a leisurely vacation, spend less and see more of what matters with Kanata. 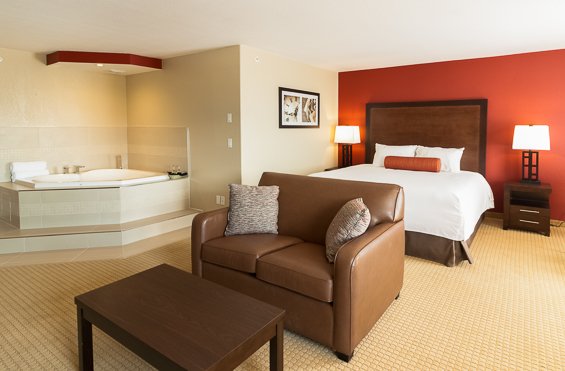 Enjoy the hot tub while you stay at Kanata Inns Invermere. 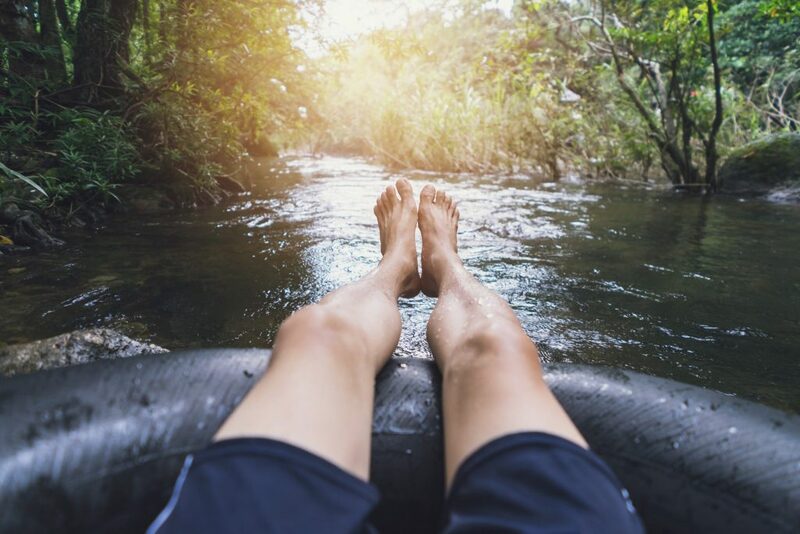 Whether you are relaxing after a long drive or a day of exploring, the hot tub is a great place to kick back and relax. 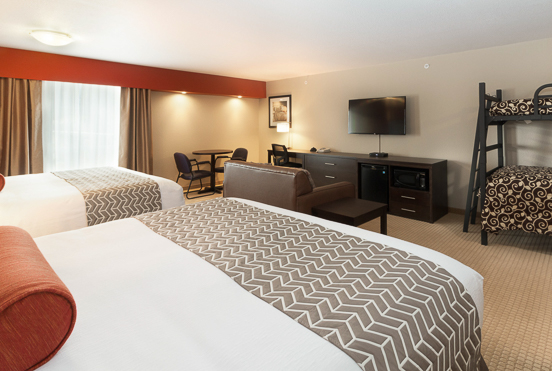 With Big Screen TVs and range of channels and shows in every room, you can kick off your mukluks and relax at the Kanata. 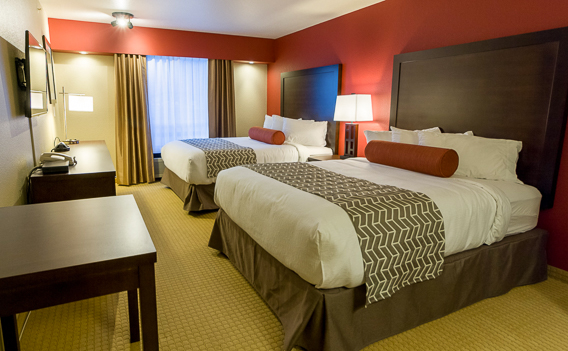 This suite features 2 Queen Beds with Simmon’s high quality mattresses and linens, high speed wireless internet access, Led TV with a large selection of HD programming, extra HDMI cable, fridge, microwave, Keurig coffee machine, and alarm clock. 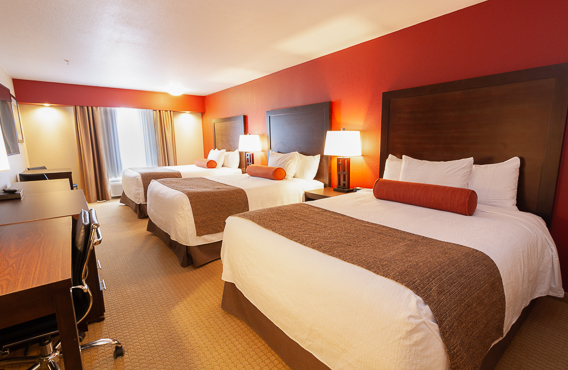 This comfort inspired room features 1 high quality King Simmons mattress and linens, mini fridge, microwave, Keurig coffee machine, high speed wireless internet access, Led TV with a large selection of HD programming, extra HDMI cable, and alarm clock. This Kitchenette Suite features 2 high quality Queen Simmons mattress and linens, induction cook top, apartment size fridge, microwave, Keurig coffee machine, high speed wireless internet access, Led TV with a large selection of HD programming, extra HDMI cable, and alarm clock. 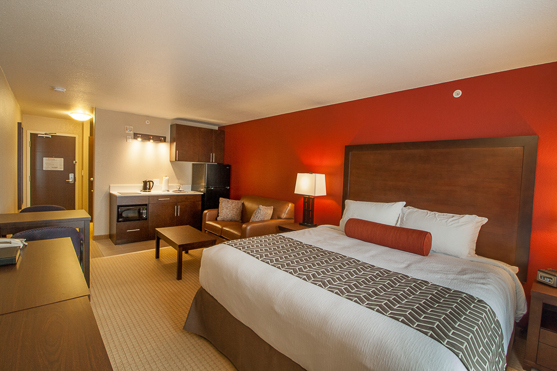 This inviting, roomy suite features 2 King Beds and 1 bunk bed with Simmon’s high quality mattresses and linens. Included: High speed wireless internet access, Led TV with a large selection of HD programming, extra HDMI cable, fridge, microwave, Keurig coffee machine, and alarm clock. 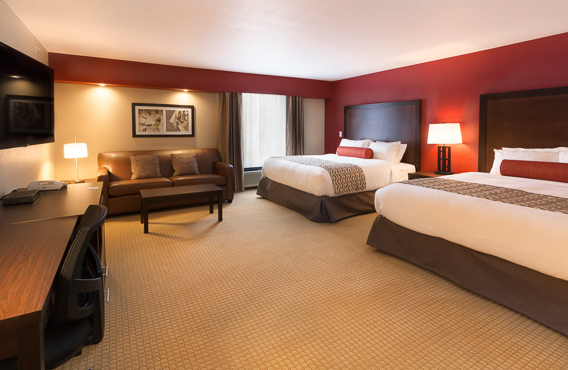 This deluxe Comfort suite features a spacious room with 2 King Simmon’s high quality mattress beds and linens, sofa seating area, high speed wireless internet access, Led TV with a large selection of HD programming, extra HDMI cable, fridge, microwave, Keurig coffee machine, and alarm clock. 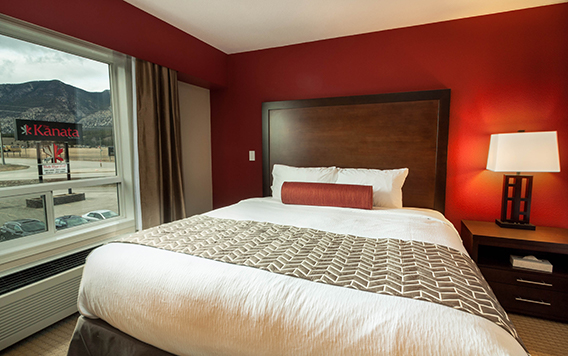 This intimate yet spacious Suite features your own in room private 2 person hot tub, 1 high quality Simmon’s king bed and linens, high speed wireless internet access, HD TV, an extra HDMI cable, fridge, microwave, Keurig coffee machine and alarm clock. 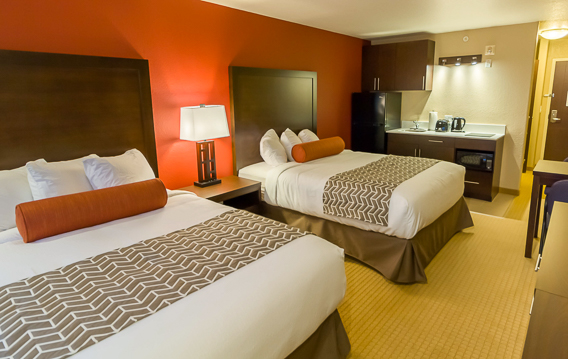 This suite features 3 Queen Beds with Simmon’s high quality mattresses and linens, high speed wireless internet access, Led TV with a large selection of HD programming, extra HDMI cable, fridge, microwave, Keurig coffee machine, and alarm clock.